I’ve made a ton of bars with peanut butter but it’s been years since I’ve baked with almond butter. These easy, one-bowl, no-mixer bars were worth the wait. 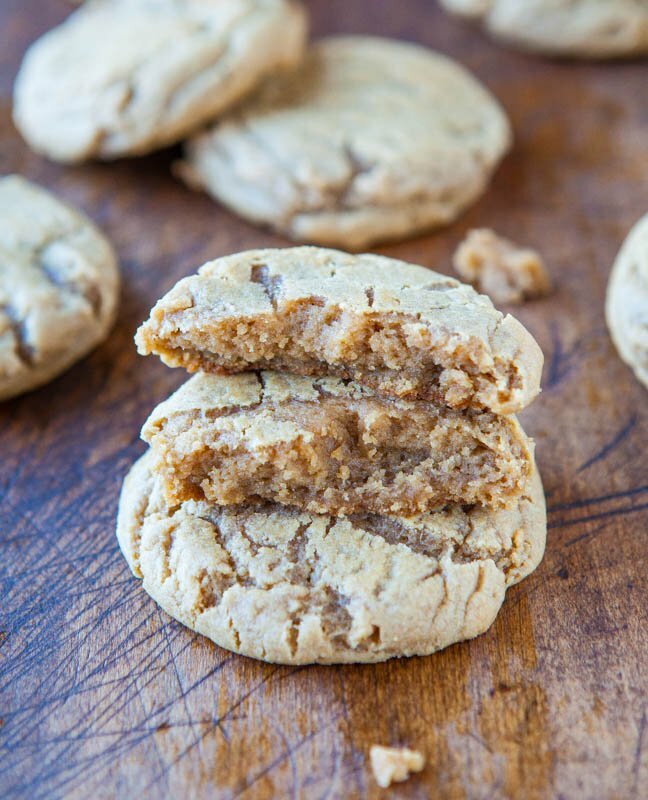 They’re similar to The Best Flourless Peanut Butter Cookies in that there’s no flour but I swapped peanut butter for almond butter. 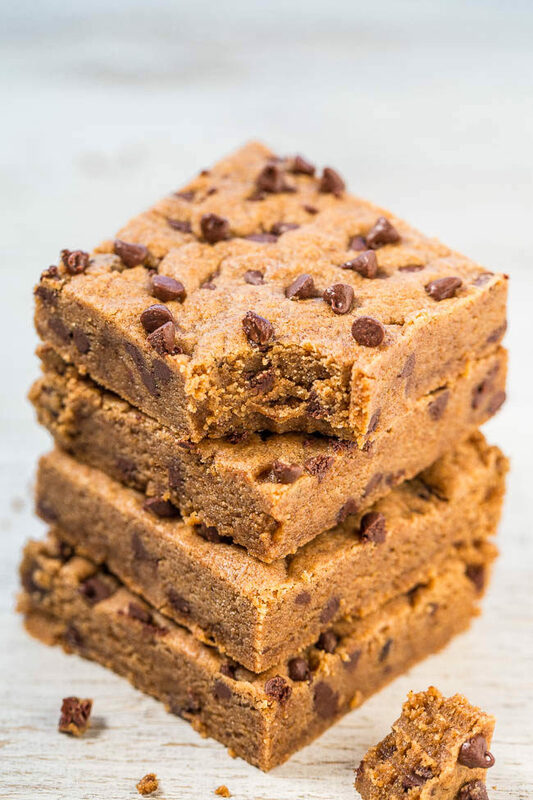 The result is a soft, perfectly chewy bar, minus any gluten. The interaction of the almond butter and egg creates enough for structure that they don’t fall apart but if you love soft bars, these are for you. They have a very rich depth of flavor courtesy of dark brown sugar. 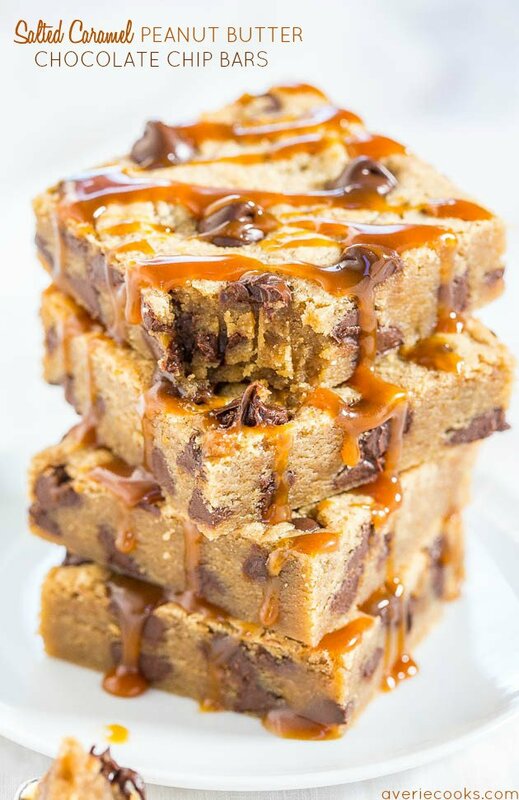 It has double the molasses of light brown sugar which plays perfectly with the almond butter. I used a raw, no-salt almond butter from Trader Joe’s. I wanted the bars to have a slightly salty-sweet quality so I added enough salt given my almond butter to achieve it. If your almond butter is already salted, scale back on the added salt. All almond butters vary in their consistency and therefore baking times will vary. Thirteen to fourteen minutes is perfect in my oven and climate with my almond butter, but bake until your bars have set up. 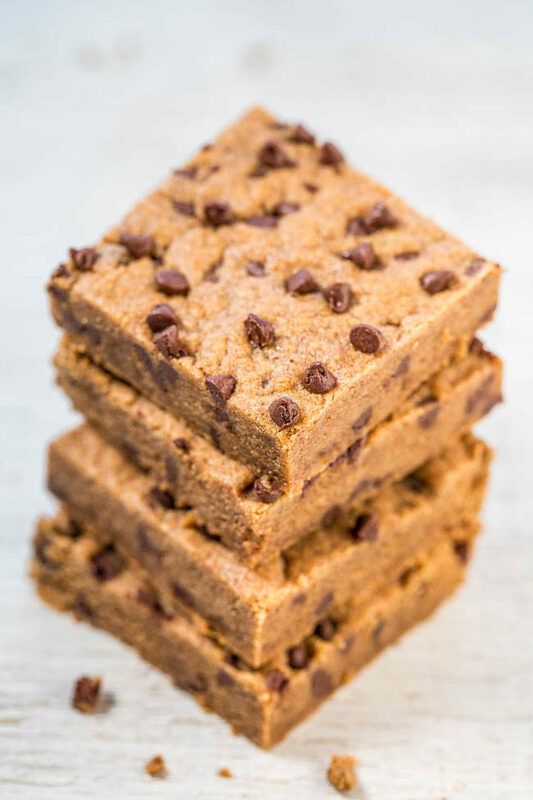 There’s no flour in these easy, one-bowl, no-mixer bars making them soft, perfectly chewy bar, minus any gluten. 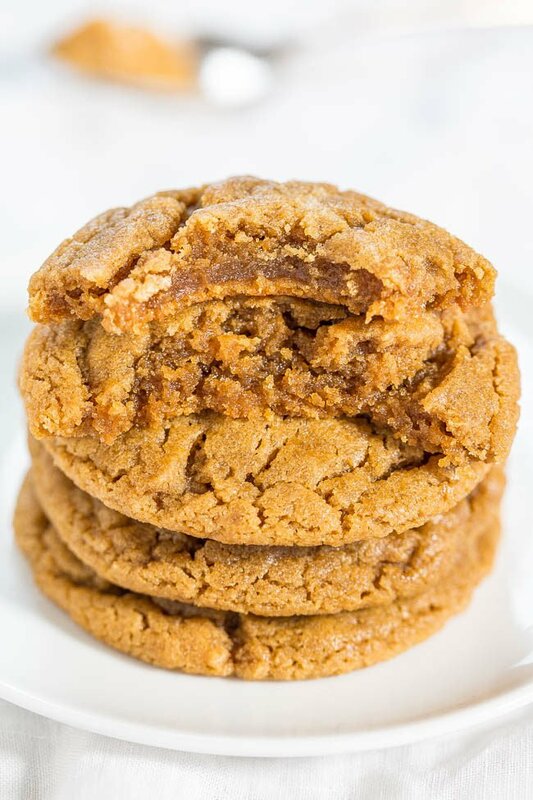 They have a very rich depth of flavor courtesy of dark brown sugar which plays perfectly with the almond butter. I used a raw, no-salt almond butter. I wanted the bars to have a slightly salty-sweet quality so I added enough salt given my almond butter to achieve it. If your almond butter is already salted, scale back on the added salt. All almond butters vary in consistency and baking times will vary. To a large bowl add the almond butter, dark brown sugar, and whisk until smooth and combined. Add the egg, vanilla, salt, baking soda, and stir until combined. Dough will be thick and a bit granular. Add 1/2 cup chocolate chips and stir to combine. Turn the batter out into prepared pan, packing it with a spatula to form an even, smooth, flat layer. Bake for about 13 to 14 minutes, or until top is set in center and done; don’t overbake or bars will turn crumbly and not hold together. All almond butters vary in thickness, and climates and ovens vary, so baking times will vary. Bars firm up as they cool. Place pan on a wire rack to cool for at least 1 hour before slicing and serving. Bars will keep airtight at room temperature for up to 1 week, or in the freezer for up to 6 months. Soft Batch Dark Brown Sugar Coconut Oil Cookies – If you’ve never baked with coconut oil, these are a must! Chewy and so soft they’re bendable! 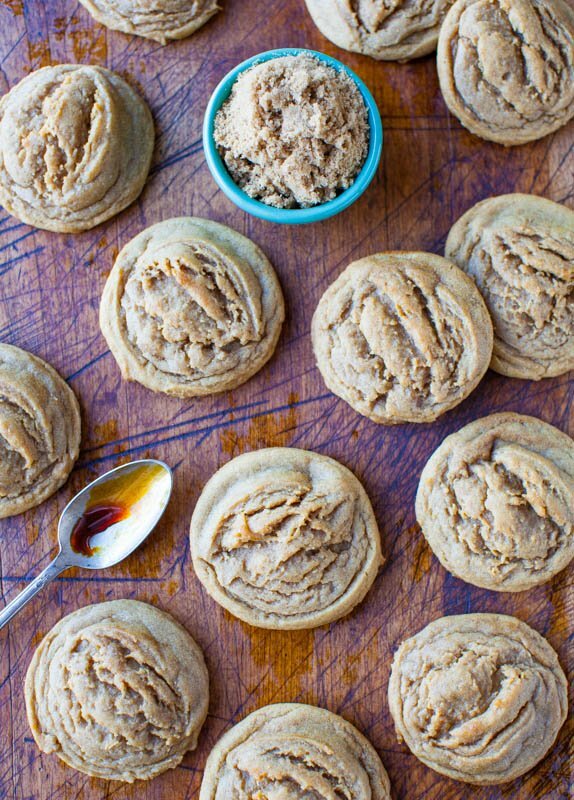 Brown Sugar Maple Cookies – Made with only brown sugar and the cookies have a rich depth flavor with notes of caramel, molasses and the maple pairs perfectly with the flavors! 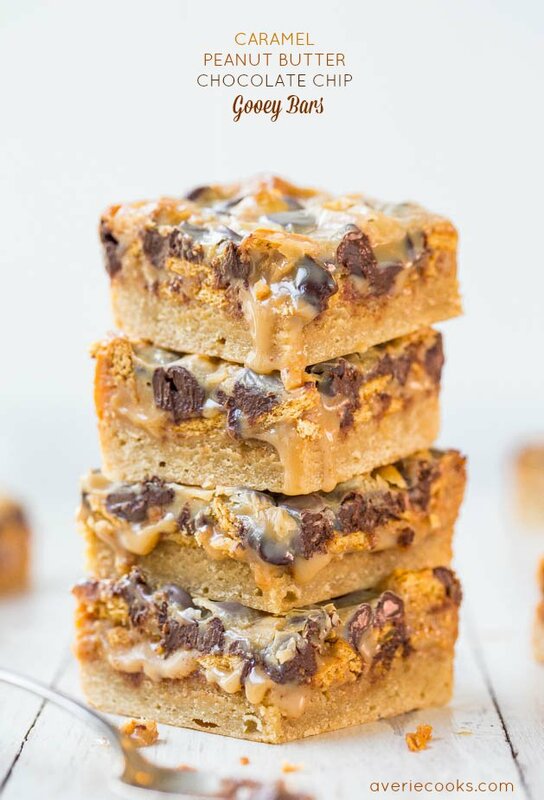 Salted Caramel Peanut Butter Chocolate Chip Bars – Made with salted caramel PB! 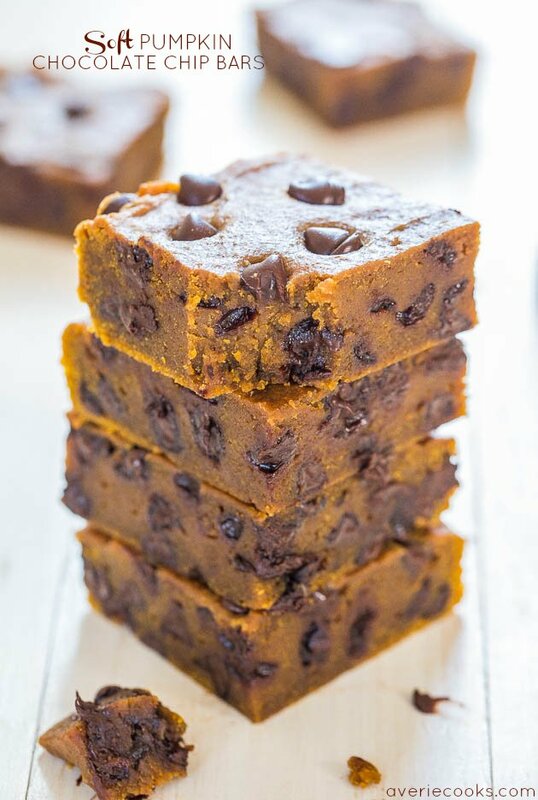 Soft, chewy, gooey and so irresistible! 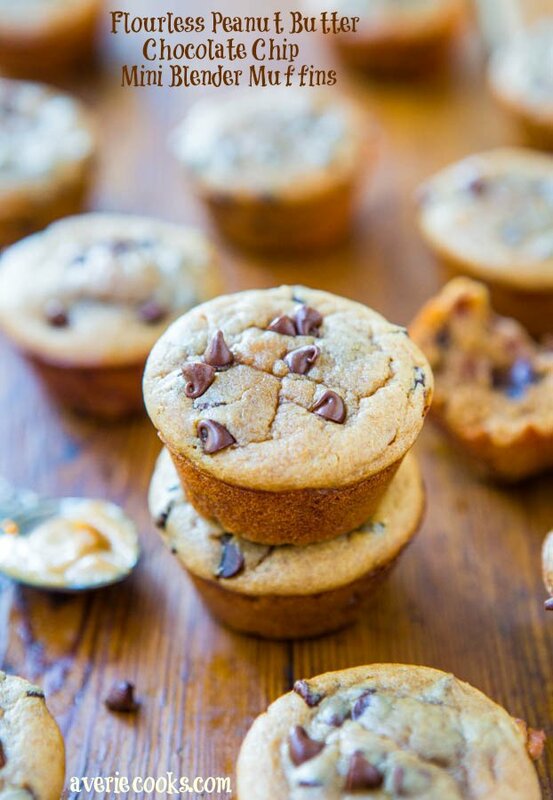 Flourless Peanut Butter Chocolate Chip Mini Blender Muffins – Gluten-free, grain-free, soy-free, dairy-free, oil-free, refined sugar-free, under 100 calories each! And they taste amazing! Averie, about how many cups of almond butter total? It’s one 16-ounce jar. That probably comes out to about 2 cups but I didn’t measure it – I just transferred it from the jar to the mixing bowl. Do it that way, much less messy that trying to get it into a measuring cup. This looks delicious, I will try this recipe out on the 14th for my kids. This is it! So excited. 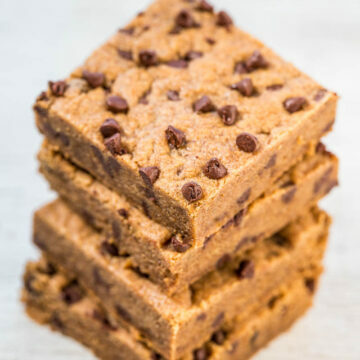 We must be connected somehow because I’ve been baking with almond butter all week! It’s the best. Well, other than peanut butter. :) But these look amazing. I’m sure the brown sugar adds so much to the moisture! When it comes to nut butters, almond and peanut are my top 2! 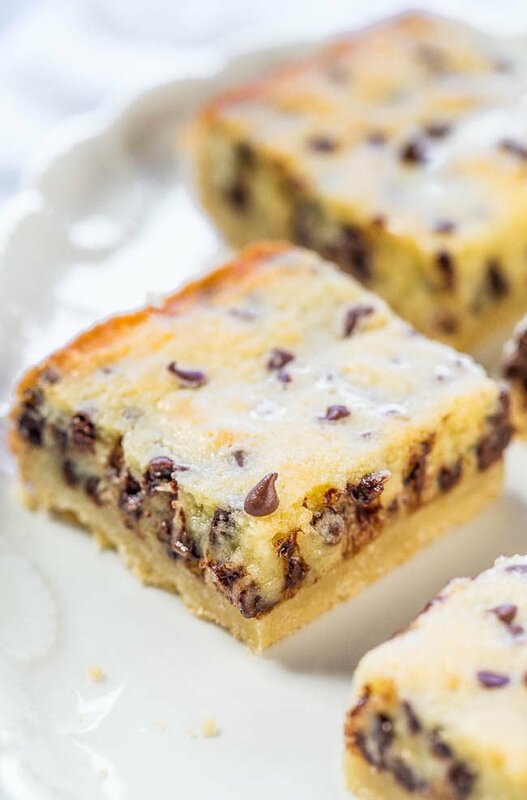 These look fabulous–simple with a touch of chocolate and sweet enough without being overly rich. Yum!! They had such a unique flavor and weren’t overly sweet yet still really satisfying! caramelly fusion of flavor goodness = yes and that is exactly what it tasted like! They look absolutely fantastic! I’m craving almond butter now, it’s been so long since I had it! These look delicious Averie! I love almond butter but haven’t used it in baking! Can’t wait to try this one! I use almond butter sometimes, but what is raw almond butter? Made from almonds that haven’t been roasted before being turned into AB. Love the combination of salty and sweet. Not to mention, these looks super simple! Yum! I prefer almond butter to peanut butter. These bars look delicious. 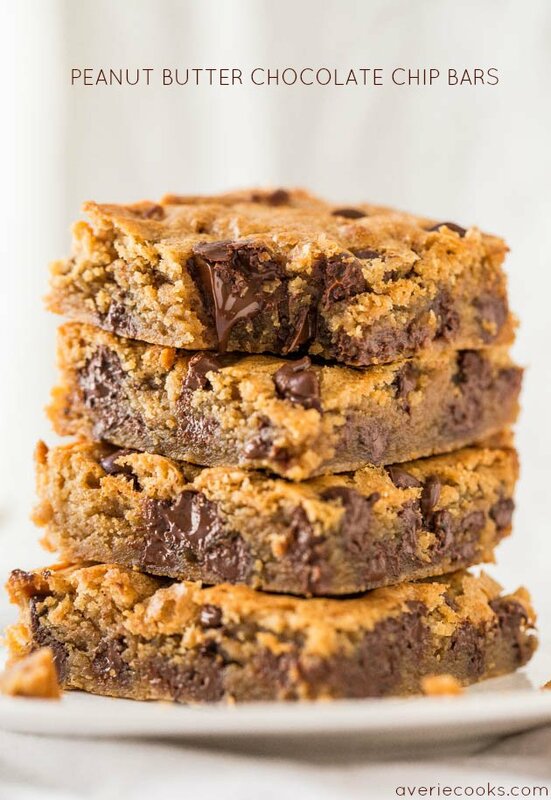 I adore using almond butter when I bake so these bars are def up my alley!